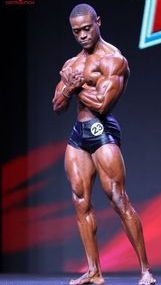 The Classic Physique Category was introduced by IFBB in 2018. The category is based on height to weight limits, with a higher weight allowance than Classic Bodybuilding. Since the muscle mass is limited by the weight allowance, the emphasis is on classic lines, aesthetic and well balanced muscular development. Athletes attire is tight fitting shorts which cover the entire glute area. Weight to height allowances can be found in the rules. Athletes perform quarter turns, six mandatory poses (amongst which vacuum pose) and a posing routine. MFBBF Postal address: 34, The Atrium Flt. 3, Carini Street, Santa Venera, SVR 1402, Malta.